When I was asked to do a review of the new blogging anthology The Mother of All Meltdowns, I was so excited. As most of you know, I’ve only been blogging for a few months now and the ladies featured in this book are like celebrities to me. So of course, I said yes, immediately, and probably in all CAPITALS! What was there to think about? I get to read a great book, join the wonderful community at No Mother Is Perfect and share it with you all here on the blog. 2. I have absolutely no idea how to write a book review. Minor technicalities, right? Well, we shall see. First, let me tell you a little bit about the book, The Mother Of All Meltdowns is available on Amazon for just $.99 between now and Mother’s Day. It’s a painstakingly collected and lovingly compiled cluster of mommy meltdowns. These are not your run-of-the-mill, every day, my-kid-colored-on-the-wall-again type meltdowns. These are the defcon 5, nuclear disaster, put-your-toddler-to-shame, MOTHERS of all meltdowns. They are the big ones: the ones that keep you up at night and give your husbands and children nightmares for years to come. Some of them are hilarious, like the time Jennifer Kehl (from My Skewed View) got locked out of her house by her own son during an epic melt down. Or the time Stephanie Farley (from Crayon Marks and Tiger Stripes) had a meltdown in a truck-stop bathroom after her toddler made a very embarrassing announcement. My kids were looking at me like I was a loon as I tried to muffle my laughter during these stories. But not all meltdowns are funny. Some of them are heartbreaking and earth-shattering. My heart ached as I read about Alexa B.’s (from No Holding Back) slow burning meltdown that began before her third pregnancy and culminated just after the birth of her twin girls. Her story is brave, and touching, and deeply sad. Other stories were the kinds of meltdowns were you want to jump out of your la-z-boy and join in their tirade. When Melissa Galileo (from Completely Eclipsed) gets the least relaxing pedicure on Earth I seethed with rage on her behalf. We moms rarely get a chance to pamper ourselves and when we do we want to feel better about ourselves, not worse. You won’t believe what the pedicurist said to her! You might be wondering why I titled this review Are Meltdowns Contagious? Well, let me tell you, I read each of these stories with bated breath. I couldn’t put the book down, which actually led to a mini-meltdown of my own. I’ve known I was writing this review for over a month. It was sitting there, in the back of my brain, for weeks. The book had been sitting on my nightstand for just as long. Unfortunately, as is so often the case, my intentions sometimes take a back seat to the necessities of life like feeding, clothing, bathing, and chasing my crazy children through the house trying to get their pajamas on before bedtime. Somehow a month flew by in a haze of diapers, time-outs, hugs, and bad dreams, and before I knew it I was up against a deadline. I had three days to read the book and write the review. No problem, right? I read books and wrote term papers in much less time in college. I had plenty of time. Unfortunately (or fortunately for the sake of my bachelor’s degree), toddlers are even worse for productivity than drunken roommates. Actually, they are similar in a lot of ways: they stomp around the room making an unholy racket for absolutely no reason, they are constantly having dramatic and seemingly life-altering disagreements with other children, and they keep you up half the night throwing up in your bed. I’m actually amazed I ever graduated the first time. One entire day went by and I managed to read exactly three and a half pages. In fact, I read that same three and a half pages about 14 times since I was being interrupted at least once every 30 seconds. Mommy, will you make Jupiter out of play-doh? Mommy, did you know Io smells like farts? I think I need to poop. Eventually I gave up and decided to wait until my husband came home from work. That evening, after dinner, I decided to run the kids bath a little early and read while I soaked. It sounded too luxurious to be true, which actually turned out to be true. About fifteen minutes after I lowered myself into the hot water, I heard the telltale sound of the gate at the top of the stairs being flung open with unnecessarily brutish force. That is the three year old’s signature move. He came barreling into the bathroom, flew past the tub, and knocked the book I had perched on the side when I first heard him coming. It splashed into the tub, but he was already half way out of the room again and didn’t notice. I heard his feet thundering back down the stairs as I stared at the pages of my book flapping eerily in the water as the book floated past my legs. It was quiet in the bathroom again. It was a completely senseless act, and it took my brain a few seconds to process what had happened. Suddenly, the stress I felt about my looming deadline, the fear and insecurities about getting myself in over my head, and the reality of my now useless reading material came bubbling to the surface. I grabbed the sodden book, wrapped a towel around myself and started digging through the cabinet under the sink. Tears were streaming down my face as I searched frantically for the one thing I thought could save me. Five minutes later my husband came up with the kids and found me, huddled on the floor, towel half covering me, with the hair drier trying to dry the pages of a very water-logged book. I was sobbing. I must have looked completely crazy, and a little bit like I had a death wish, with my wet hair dripping all over the electric appliance. I didn’t care. In my head, that wet book represented every obstacle that was standing between me and the illustrious writing career I was supposed to have. Did I mention I wasn’t thinking entirely straight? Wisely, they took one look at me and backed quietly back out of the room. A few minutes later I came to my senses, dried off, and deposited the book in the trash. I’m pleased to say that my mini-meltdown only lasted for those ten minutes, and the next day I was able to buy the kindle version of the book on Amazon for only $.99. I finally wised up, left my husband in charge of the kids, and went to a coffee shop where I finished the rest of the book in no time. I may have looked slightly foolish giggling into my chai or choking back tears in public, but at least it was quiet. I thoroughly enjoyed sharing in these women’s best and worst mommy moments. It reminded me that truly no mother is perfect, which is kind of perfect since there is a whole new community dedicated to us non-perfect mothers! No Mother Is Perfect is a new community for the perfectly imperfect mother! 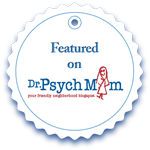 A place where you can let your guard down and talk about the meltdowns, struggles, and less rosy aspects of being a mom. Come join us, and when you do, look me up so we can share our own stories. Mother’s Day is Sunday, May 11th 2014! And we want moms everywhere to accept the meltdowns, stop chasing perfection, and embrace their uniquity. You won’t find this word listed in Webster’s, but you will find it within every mother on the planet. Enter between April 1, 2014 to May 11, 2014 to win one of three fabulous prize packages including a three night stay for two at a destination spa! Click the HERE to enter. Loved this post and will purchase the recommended book! If the writing is as good as yours then it will be a winner! This is terrific! I’ve never managed reading in the tub successfully even without a toddler tornado to “assist” in the disasters. I’m glad you finally got some time alone and to enjoy the book! Being a part of this book has been the single most exciting thing I’ve done in my writing career! There is nothing quite as orgasmically releasing as a good meltdown. I am not a mommy, but I have a very mischevious cat. Long long story short, I dropped my laptop and called a tech savvy friend for help and he said he’d call back in a minute. In the next 30 seconds my cat decided that she would like to try my egg and sausage sandwich, and ended up flipping it onto the floor in my flat. When my friend called back he asked why I was outside and I told him that if I hadn’t left I was going to throw my cat off the balcony. Review: All I’d suggest is that you be careful to avoid writing a synopsis, which is what some people do. Try to think about why this book is a good (or a not so good) read for the target audience – mommies. I’m putting the book on my list and sending a virtual hug your way! Seriously? The freezer thing works? You’d be surprised how many books have found their way into the tub or the sink or a puddle. We never seem to learn. Seriously. With a big hardcover book it might take something on the order of months but it works. I just rescued a Piggy and Gerald book for the kids, took a few weeks but it’s back on the bookshelf! Oh no 🙁 Although, I can relate. I’m unnaturally attached to my kitchen aid peeler. My carrot peeling skills are basically non-existent when using a knife. It’s a good thing the poor mutilated objects went into a stew where no one notice what had been done to them! I don’t know if meltdowns are contagious, but they are universal! Every mother will have at least one during her mothering years. If she’s denies it, she’s a liar!! Sorry about the bath! Maybe next time yell “I need help scrubbing the toilet!” before you get in the tub and then, surely, people will leave you alone! I’m so glad you were able to finish the book in (dry) peace and quiet! Thank you for the awesome review – I know it’s hard to read a book under pressure, especially with little ones. I don’t know what you were worried about with writing your first review. This was AWESOME! And thank you for mentioning my story. It was cathartic to share it. And in answer to your question – I believe they might be contagious. Or maybe it’s just that when we realize other mothers have them, we allow ourselves to experience that release too! 🙂 Looking forward to following your blog. Fantastic review…the ladies should be very happy with this one. Any mom who would have endured a soggy book in the bath tub could only be a zombie! I’m hoping that all these stories will prepare me to one day be the super Mom we all know is lurking out there on a distant planet somewhere. Thanks for the review and for sharing your story. Well, girl, you nailed the review on the head!! I’m not sure what you were worried about because you can write!! Thank you for sharing my unfortunate story in the bathroom with my toddler…since that moment he has gone to the bathroom with his dad. I will not be living that experience again!! Thanks again for the awesome review! You rock!! Sending the kids to the bathroom with Daddy seems like a win-win situation to me 🙂 Glad you liked the review! Love your story and isn’t it great how misery loves company?? I miss reading books – a lot. I also dream of checking into a hotel room for days at a time, all by myself just so I can get MY stuff done. One day it will happen!! Thanks for the review.. it was awesome! Me too! I’ve even thought about how nice it would be to take a long flight just so I’d have nothing to do but read. Wow, how times have changed. I’m the cheese-less grilled cheese mama right here. Thanks so much! I’m glad you found me 🙂 I’ve got plenty of meltdown stories just waiting for the sequel to come out!